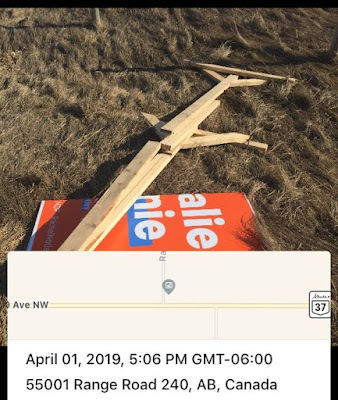 Please watch for and report any election sign vandalism. 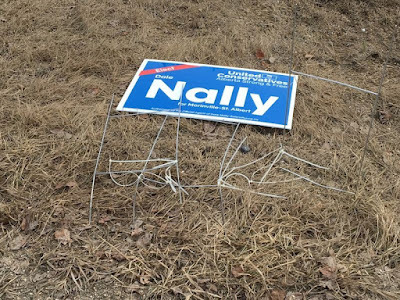 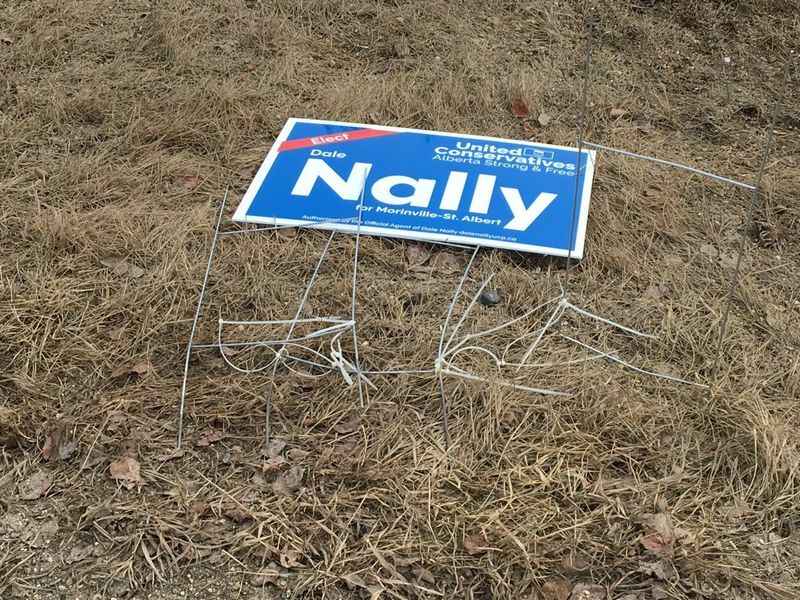 We have had reports of a number of signs run over, damaged and removed from Sturgeon Valley Vista Estates and Hewitt Estates mailbox locations. Also along the highway west of Legal a large NDP sign was run over and damaged.